This course covers such topics as the scientific method, designing experiments, simple machines, archaeology, geology, paleontology, biology, and human anatomy and physiology. Although it was designed for 7th graders, because of its wide scope, it can be applied to any middle school grade. 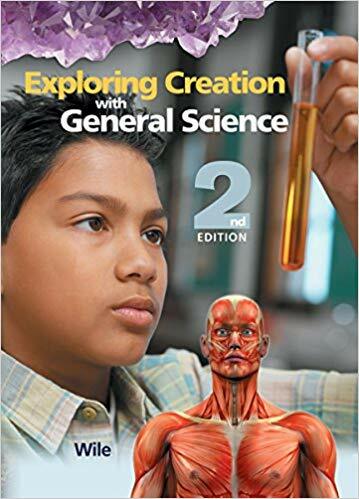 Class time consists of lesson reading and review, a weekly cumulative review of each chapter study guide, science experiments, and vocabulary building. Homework includes weekly reading and review, chapter reviews, and vocabulary study. How do elections work? What does the President do all day? Who decides where stop signs go? What is Labor Day? 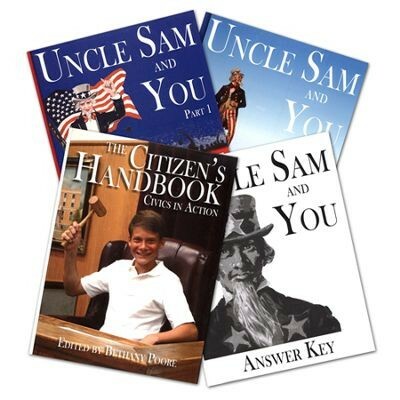 Uncle Sam and You is a one-year civics course that answers these questions and many more. Designed for students in grades 5 through 8, this curriculum guides your family on an engaging tour of American government. Your student will learn about elected leaders and everyday citizens who have important roles to fill in making our country work. Class time consist of a lesson reading, and lesson review questions, hands-on activities, and weekly cumulative review. Homework includes weekly reading and review questions, literature assignments, and a timeline project. This DVD driven writing program guides students in short lessons using a systematic, step by step approach with immediate application. It makes use of graphic organizers focusing on organizing information,and models writing for students. As this course is not designed for multiple ages groups, parents should purchase the appropriate grade level for their student. In this curriculum, students will learn to identify and apply parts of speech to sentence structure. They will also learn effective writing skills including expository, descriptive, and persuasive writing; proper paragraph structure, news articles, narratives, personal letters, essays, and research projects. Class time consists of weekly review of foundational grammar skills, and public presentation of writing assignments. Homework includes daily lessons and weekly writing assignments that follow a rubric. Class time consists of weekly review of math concepts (units of measure, area and perimeter, percentages, decimals, and fractions, solving for the unknown, and word and logic problems. Each week students will be presented with a “real life” math problem they are to solve as a team. Homework includes daily lessons that follow the curriculum of choice. 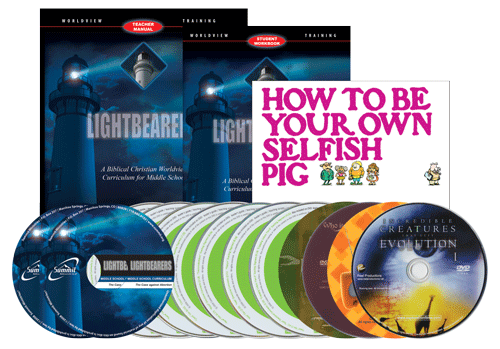 Lightbearers is designed to help middle school students clearly understand the tenets of the Christian worldview. This middle school bible curriculum equips students to understand how Christianity compares to the leading non-Christian worldviews of our day. Students will learn how to apply their Christian faith to every area of life. Categories include theology, philosophy, ethics, biology, sociology, psychology, law, politics, economics, and history. This video-based Bible curriculum for middle school is complete with daily lesson plans, projects, resources, and quizzes. The apologetics curriculum outlines all the information needed to successfully teach worldview in either your home or school. Class time consists of video viewing and concept discussions. Homework includes daily reading and review. At the end of the academic year, students in 6th-8th grade will come together to compete in “Masterminds”, a quiz-bowl challenge that evaluates their mastery of the Cycle 1 Material. Teams of 3-4 students (with up to 2 alternates) will battle it out buzzer style! 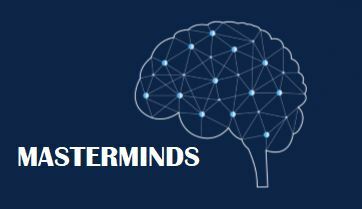 At the end of the competition, one team will be left standing as the “MASTERMINDS”.